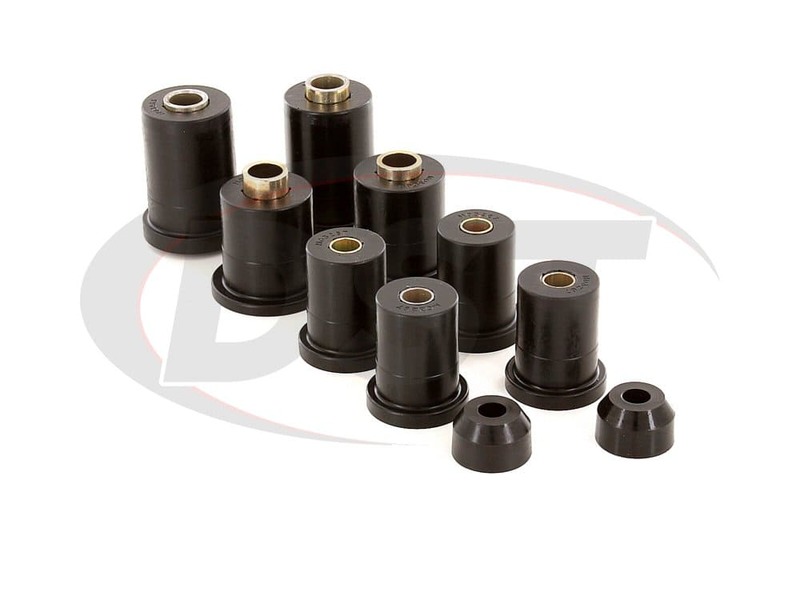 Daystar's front control arm bushing kit are designed to replace the problem causing factory rubber control arm bushings on your 2001-2006 Toyota Tundra and Sequoia with their polyurethane bushings. Backed with a Lifetime Warranty and handled in house at DST, this kit is just what you've been looking for your Toyota. The kit includes enough bushings to cover the front upper and lower control arms. KT03012BK is created to install directly into your original control arm. 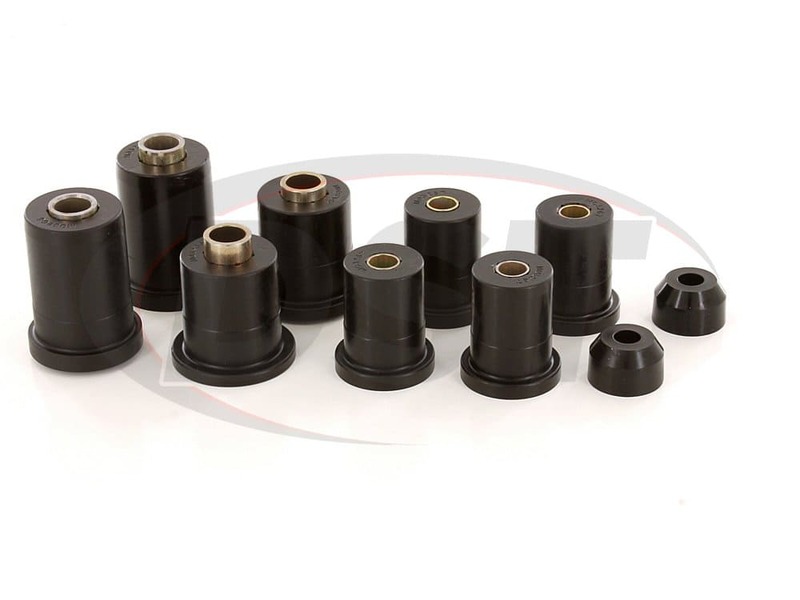 There are four bushings for the upper and four for the lower, two for each side of the vehicle. Also included are polyurethane dust boots. What's a Control Arm Bushing? 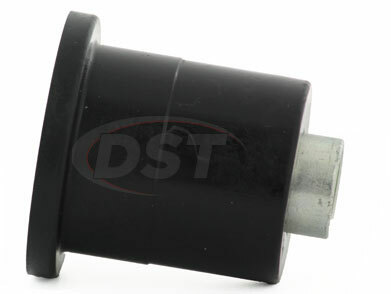 Control arm bushings are responsible for cushioning against small bumps allowing you to have a smooth ride. Failing or worn bushings could result in snapping ball joint, tires wearing unevenly and not to mention a horrible vibration in the front end when one of its tires hits a bump, AKA the "death wobble". 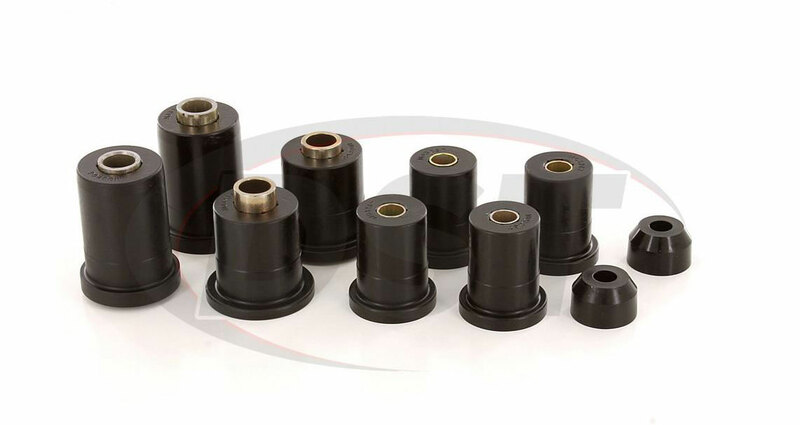 All of which the Sequoia and Tundra are no strangers of, this is because of their soft rubber OE bushings that cannot handle the stress your Toyota puts on its suspension. Because of all of this unsupported stress the bushings will split and rot, which will lead to the dust boots protecting your ball joints to allow in harmful contaminants, causing the ball joints to rust. Also, your front end alignment will be off and your camber and toe angles will be thrown out of whack. This will cause your tires to begin wearing unevenly and your control arms to move in ways they weren't meant to, leading to your Toyota making some very annoying rattling and clunking sounds. Now you could replace your whole control arm with OE Toyota parts, but those run you an upwards of $200/ per arm, also these arms are going to have the same soft rubber bushings that led to all your initial problems.  So what's the simple, cheap solution? 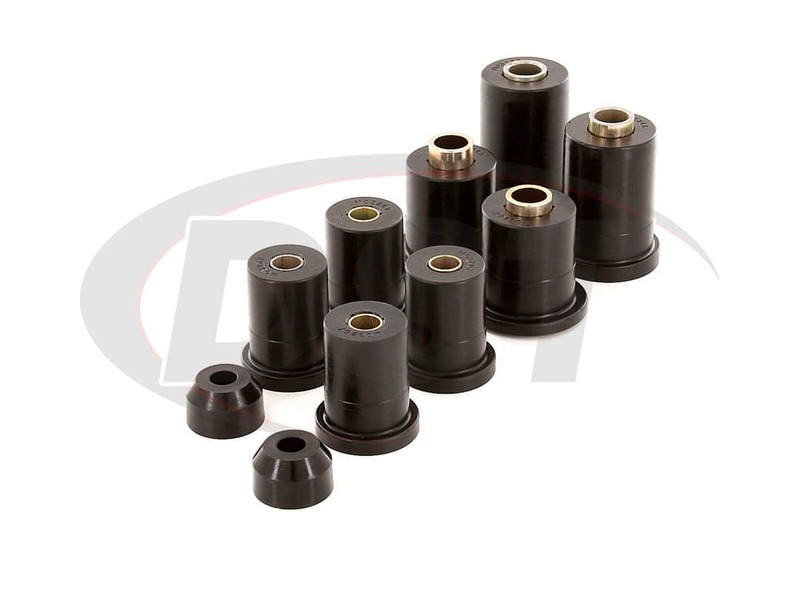 Daystar's complete front upper and lower control arm bushings kit. 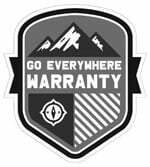 Daystar's polyurethane is far more durable than rubber, and are firm enough to provide long-lasting performance, yet soft enough for a smooth ride. starstarstar_borderstar_borderstar_border" Review 1 Year Later "
starstarstarstar_borderstar_border" Should come with metal sleeves for press in, and needs to come with way more lubricant. " Will the kt03012bk include install instructions to tell which bushing will go where? 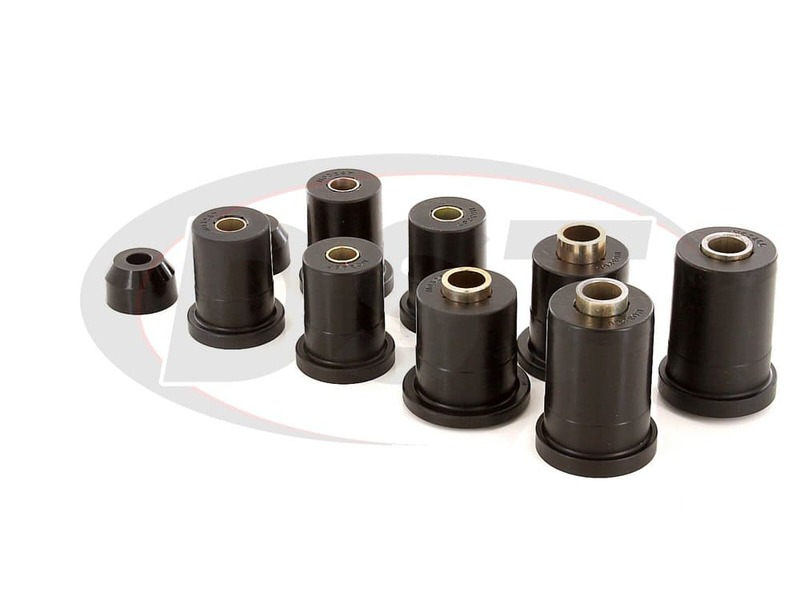 Unfortunately at this time we do not offer just the lower control arm bushings out of the kt03012bk kit. will these fit in total choas upper control arms? 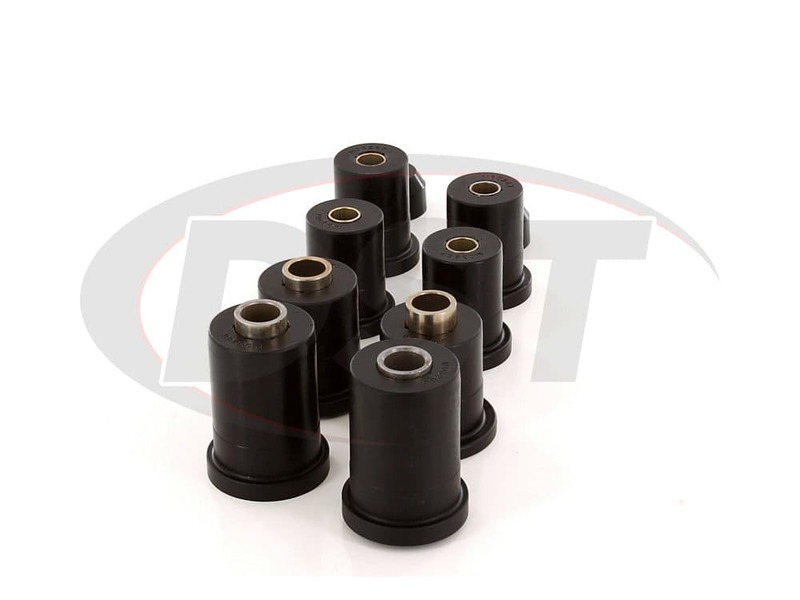 What material are the bushings in part number kt03012bk made of? 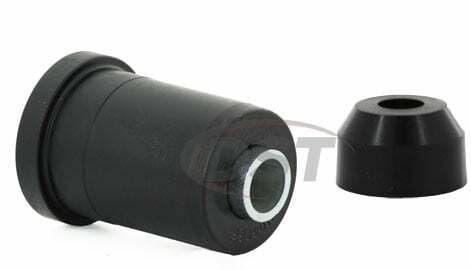 The bushings in part number kt03012bk are made of polyurethane. Is it possible to buy individual bushings from kit number kt03012bk? No, Daystar does not sell their bushings individually from their kits.